If you would like to build a modern house, but you want a factory to do at least part of the work for you, you are probably interested in both modular and prefabricated homes. These two terms are often used interchangeably when discussing home construction, but they are not identical. Let’s break down the differences between the two so that you can choose the right option for your needs. The best way to jump into this topic is by defining “prefabricated homes.” The reason is that prefab is actually a category of construction methods rather than one specific construction method. It is actually an umbrella which includes modular houses as well as those built using other methods such as panel construction and steel frame design. 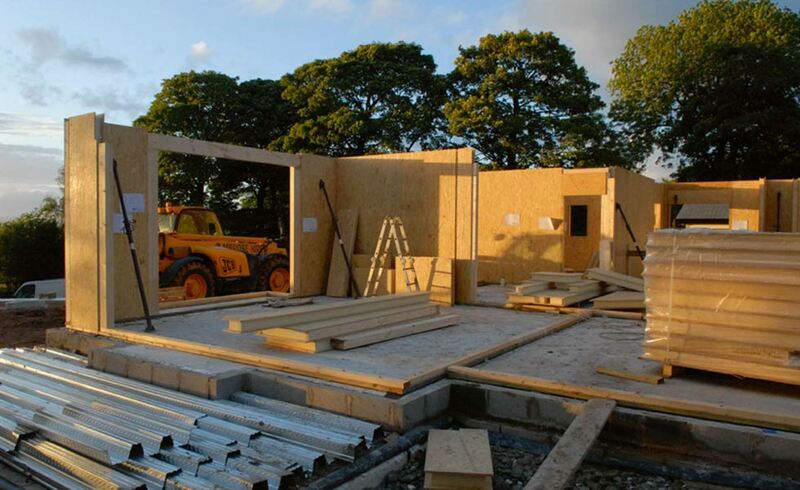 Prefabricated homes in general can be broken down into three principal categories. While your main interest is probably in modular homes (given you found your way to this article), it is worth briefly going over the other two as well. Modular homes are built out of pre-assembled modules, as the name suggests. These modules can be visualized as completed rooms which are stacked together like building blocks. If you think about assembling Lego bricks, where each brick represents a separate module, you should have the right idea in mind. 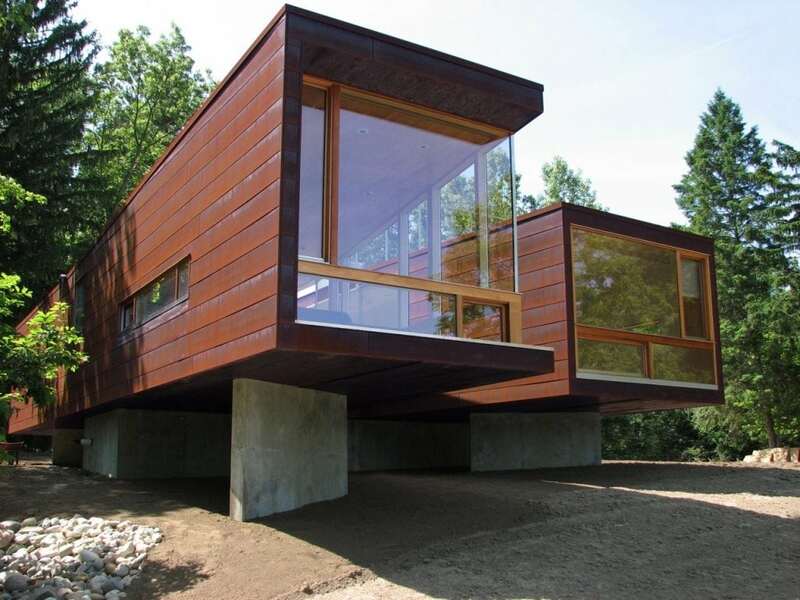 The most obvious example of modular design is homes which are built out of shipping containers. This method of construction offers tremendous adaptability. A modular home can consist of just one unit, or they can be stacked together in any orientation you choose. Rooms can be added or removed at any time. With this type of prefabricated design, the foundation and the floor are laid first. Once these are in place, appliances may be added—or step might be saved for later. Then, each completed wall is lowered and installed. If there is going to be the second floor, that will be installed next, followed by the second story walls. You will see panel construction more often than modular construction when offices and other commercial structures are being built. The reason is that this type of construction allows for more openness inside buildings. Another advantage is that it is more cost-effective to ship wall panels than it is to ship entire modular units. 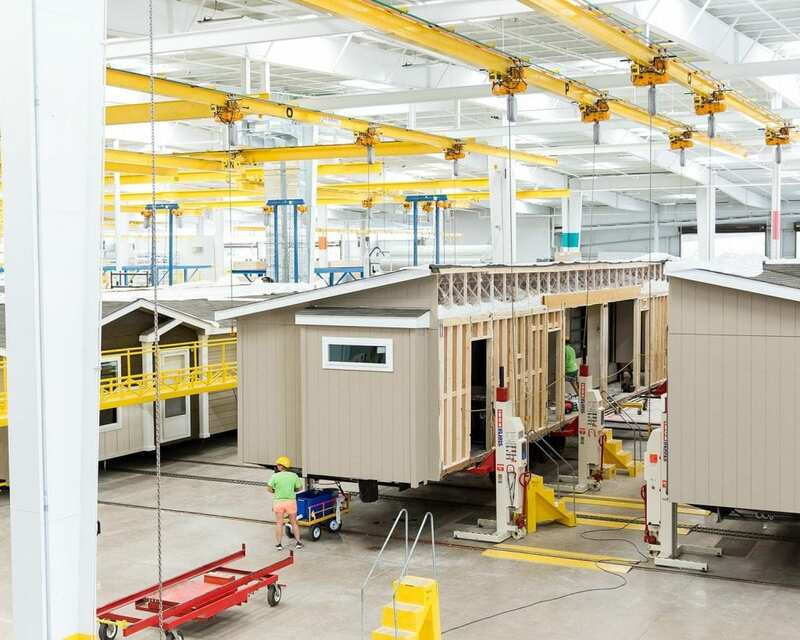 A third option for prefabricated housing is what is known simply as a “manufactured home.” This type of house is built entirely in a factory. Wheels are added so that it can be transported on the road to the site, which usually includes a concrete foundation. Once the home is situated, the wheels may or may not be removed. In the past (prior to 1976) the general term for this style was mobile homes (trailers) but modern manufactured homes have strict building guidelines that overcome the common pitfalls of mobile trailers. The common size terms are single wide, double wide and triple wide. When the wheels are not removed, side-skirting is installed around the base of the home. This is meant to hide the wheels, but the look is so frequently associated with manufactured homes that the nature of the building is still generally quite obvious. Note that this type of home typically has a steel frame. Wood frames used to be common in the past, but they are less prevalent now. Prefab vs. Modular: Which Is Best? You now understand that you have three options for prefabricated housing. But which should you go with? Should you purchase a manufactured home? Or would it be better to go with a panel-built house? 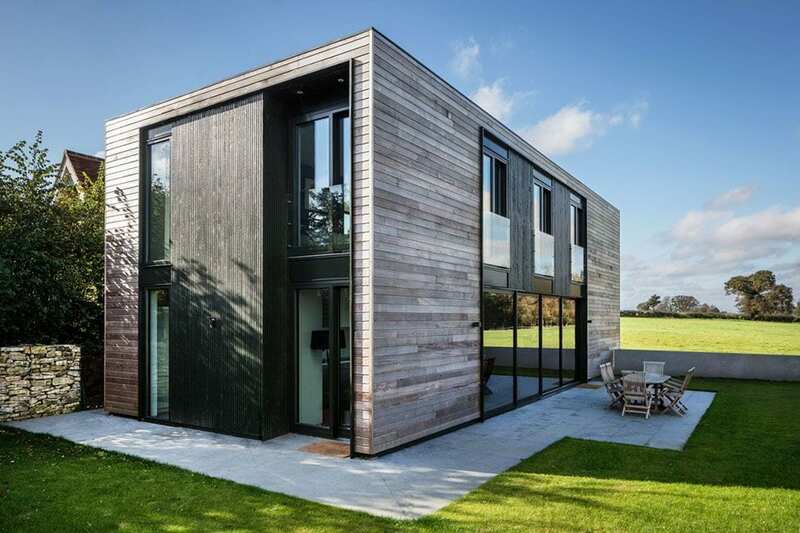 Or are prefab modular homes best? If you want to avoid dealing with building codes, a manufactured home may get you around them, though you will still have to make sure that it meets the standards set by HUD. One detractor of manufactured homes is that they tend to develop more problems than other styles of prefab housing. The most sturdy option is modular design. And actually, it may be a superior option to having a house built entirely on-site the traditional way. A lot of it has to do with the higher consistency of factory construction. There are fewer variables which can adversely impact the outcome. Shortcomings in terms of labor and materials can lead to structural weaknesses in on-site construction. Curiously enough, manufactured homes are not classified as real estate. Instead, they fall into the same personal property category as vehicles. As such, they depreciate. That is not always the case for other types of prefab homes. You might be surprised at how much freedom you have in this area, particularly if you go with modular construction. 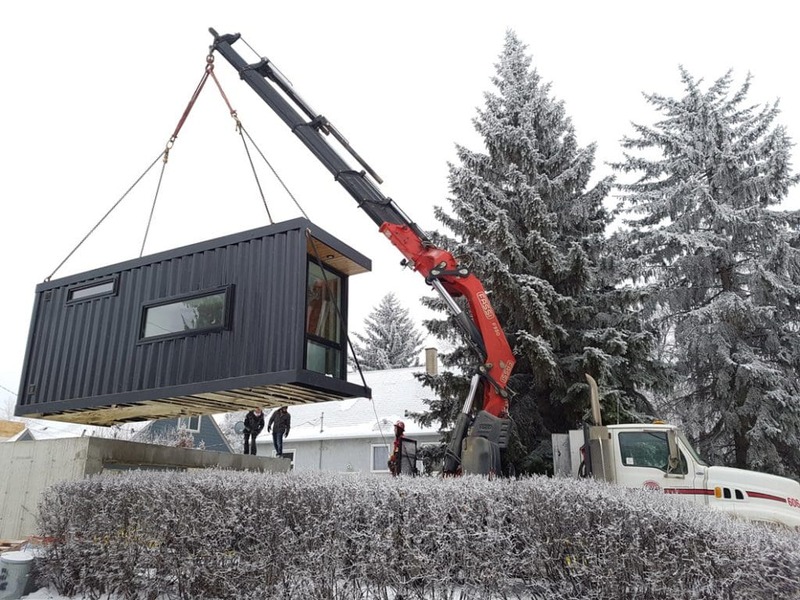 You can go with the whole “shipping container” look and feel if you like, but you can also disguise modular construction so that it looks almost identical to traditional on-site frame-built architecture. Of course, our favorite style is the modern mid-century metal homes but to each their own. Whether you opt for modular construction or not, if you are going the prefab route for your next home, you have made an awesome choice. You will save time, hassles and money, and you may even end up with a home which will better stand up to wear and tear, weather and age.